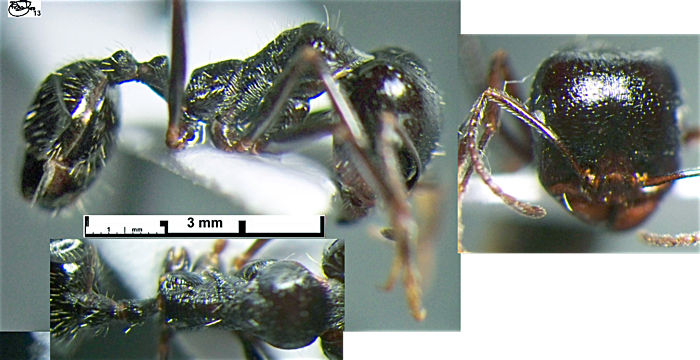 Raised to genus by Bingham, 1903, includes members previously placed in Cratomyrmex Emery. 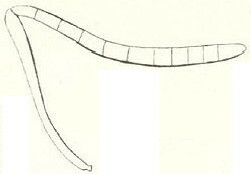 Diagnostic Features - Granivorous ants, most strongly polymorphic. Ventral surface of head with a psammaphore (a basket-like array of long, curved hairs beneath the head, used to carry sand). Mandibles strongly curved, usually dentate in smaller workers. Antennae 12-segmented. Propodeum armed with a pair of blunt teeth. Node of petiole emarginate above in large workers. 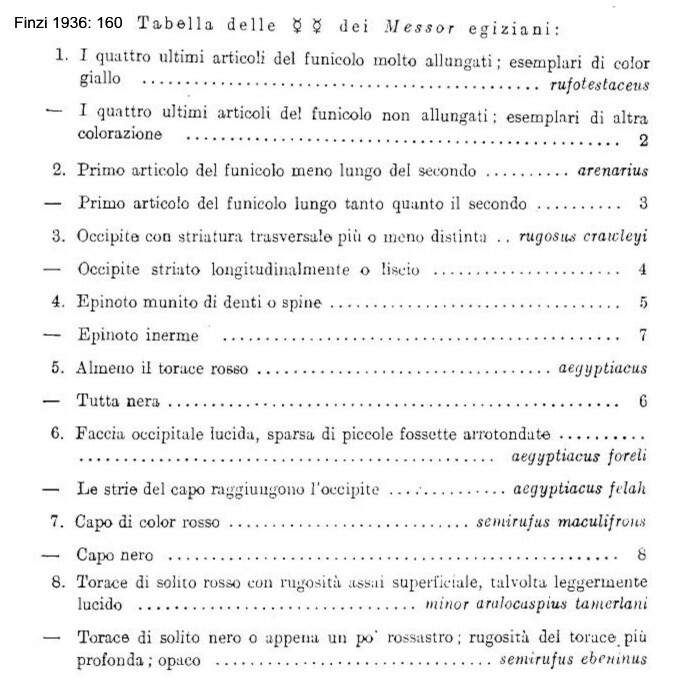 Illustrations of West African species are not available so those below are given as a guide. 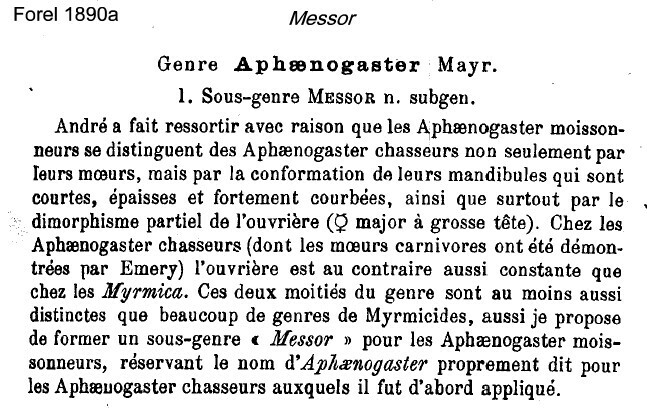 The original genus definition, as a subgenus of Aphaenogaster, Forel (1890a: lxviii) is at . 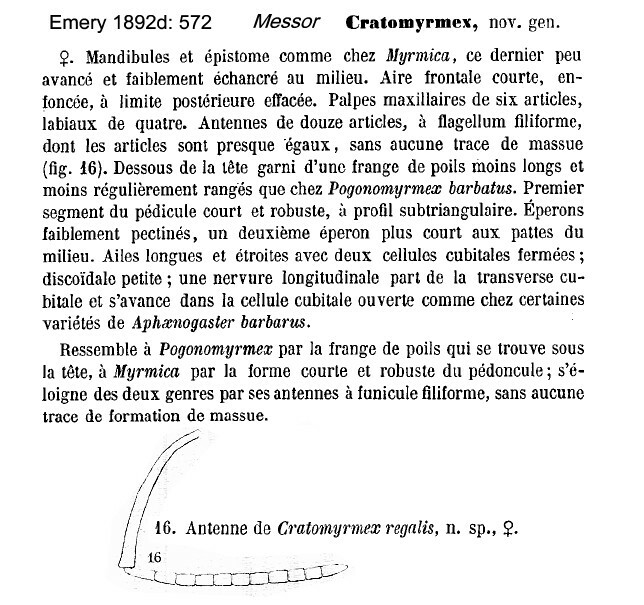 Emery's (1892d) definition of Cratomyrmex is at . André (1883a: 350) gave a key to the species then known from Europe and North Africa this is at . 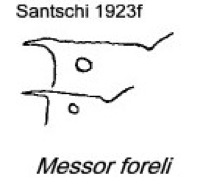 Finzi (1936: 160) gave a key to the species then known from Egypt; this is at .
. First segment of funiculus shorter than second .
. First segment of funiculus at least as long as second .
. Propodeum with at least pronounced tubercles . Propodeum unarmed or with minute spines/denticles .